Casares is located in the south-western part of the province of Malaga, in the region known as Costa del Sol Occidental. 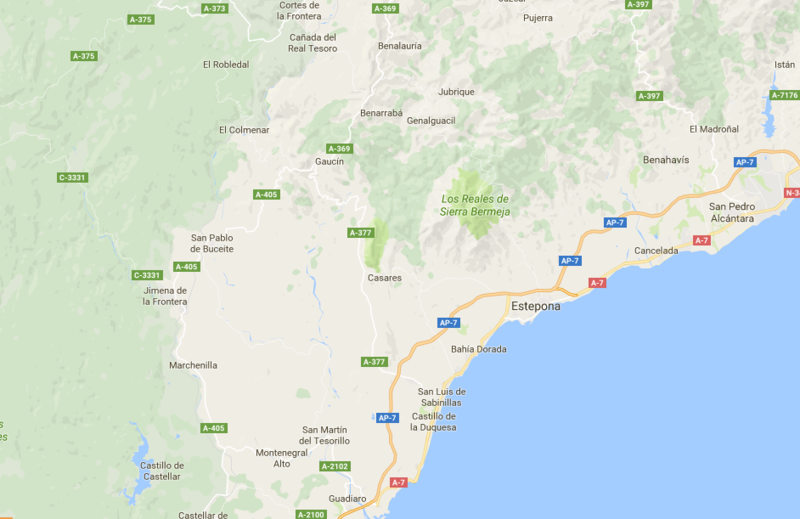 It covers the last southern ridges of the Ronda Mountain Range, being an extension of it, and is on the eastern border of Campo de Gibraltar. It is located at 38° 26’34” North latitude and 1° 35’05” West longitude, with an elevation of 435m above sea level and an average gradient of 23%. The municipality covers a total area of 162.24km2. To the North: with Genalguacil and Gaucin. To the West: with the province of Cadiz, specifically the municipality of Jimena de la Frontera. To the South: with Manilva, San Roque and the Mediterranean Sea. To the East: with Estepona.